This annual 26.2-mile adventure races through all four Disney theme parks -- Magic Kingdom, Epcot, Disney-MGM Studios and Animal Kingdom. A half marathon, two-day health expo and 5K round out the weekend's agenda. The Atlanta Braves return to Disney's Wide World of Sports Complex for spring training. Epcot blooms with more than 30 million colorful blossoms, interactive garden activities for kids and workshops with national gardening experts during this annual spring festival at Epcot. Top contemporary Christian music performers headline this annual celebration throughout Disney's Magic Kingdom. The long-running series has played to a combined audience in excess of 650,000. A family-friendly fright-fest in Magic Kingdom featuring a children's parade, trick-or-treating throughout the park, face painting and more. Savor fine wines and delectable cuisine during the Epcot International Food and Wine Festival. This month-long festival features live entertainment, guest chefs, culinary demonstrations, seminars and winemaker dinners. Walt Disney World Resort is all aglitter during the holiday season with dazzling lights, spirited song and even snow flurries. Here's what's in store: Osborne Family Spectacle of Lights, a five-million twinkling light display at Disney-MGM Studios; Mickey's Very Merry Christmas Party at Magic Kingdom; Candlelight Processional at Epcot; plus caroling, tree lighting ceremonies and visits by Santa. 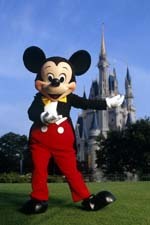 For a complete list of the events currently available at Walt Disney World visit INTERCOT's Events Page.